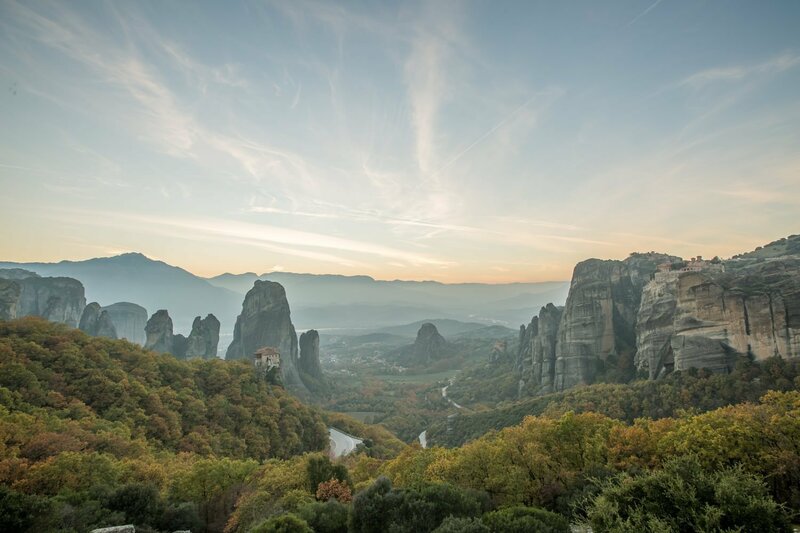 This daily Photography Tour starts from Athens and ends in Athens the same day. Tickets for your train ride from Athens to Meteora and back are included. 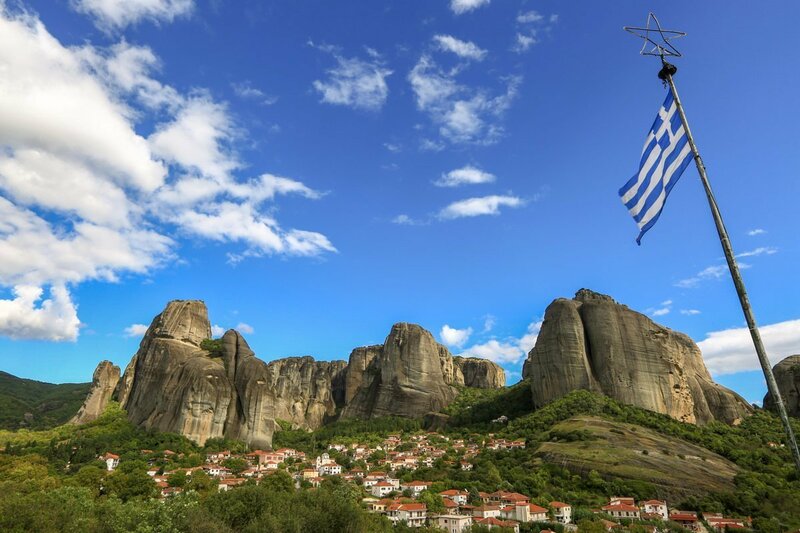 Your train ride from Athens to Meteora departs at 8:22am from the Athens train station. The Athens train station is accessible by Athens metro. 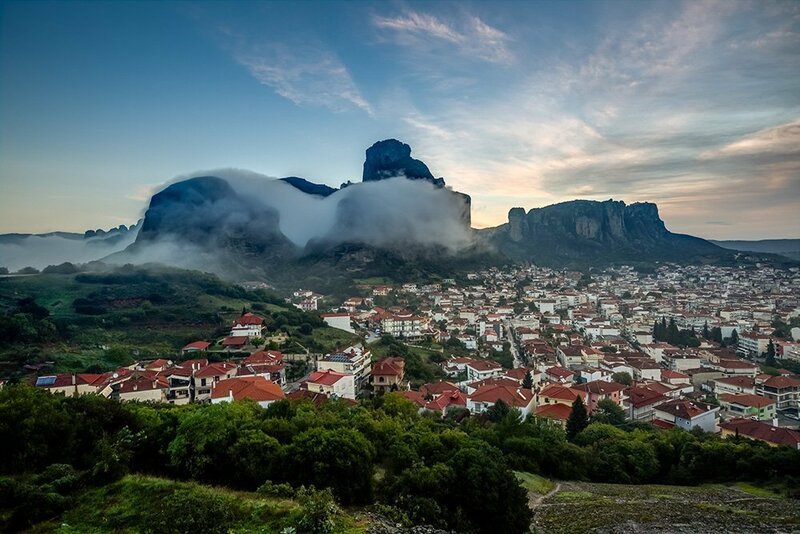 You will disembark from Athens and venture to Kalampaka, a town near Meteora. 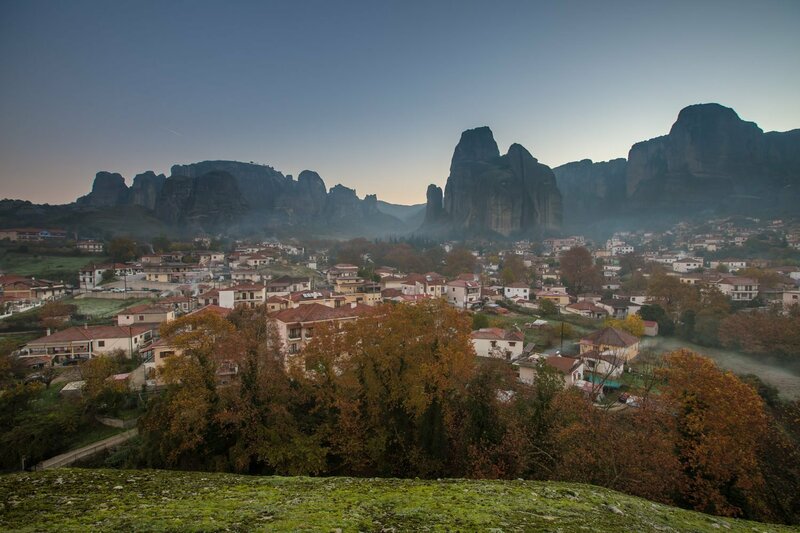 Upon arriving (at approx 1:18pm) you will be greeted by your photographer and will start photographing the traditional village of Kastraki which lies on the footpath of the Meteora rocks. 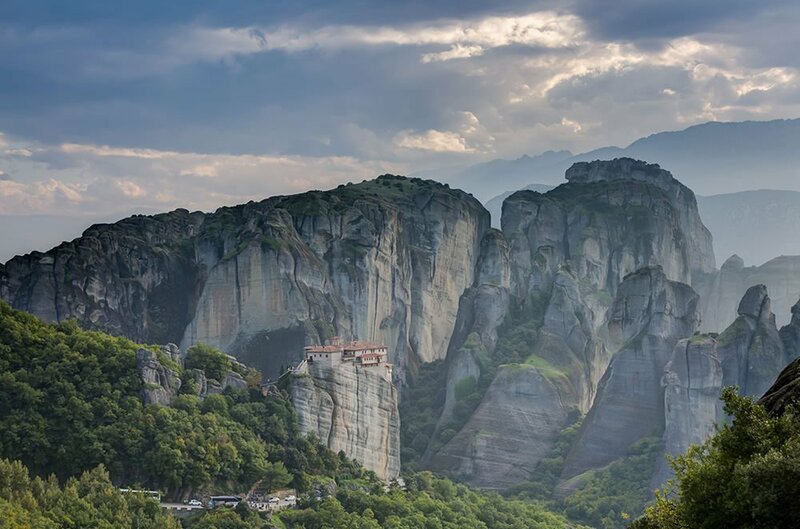 The day will take you on an unprecedented tour around the UNESCO Heritage site of Meteora, photographing its multitude of unique visual highlights. 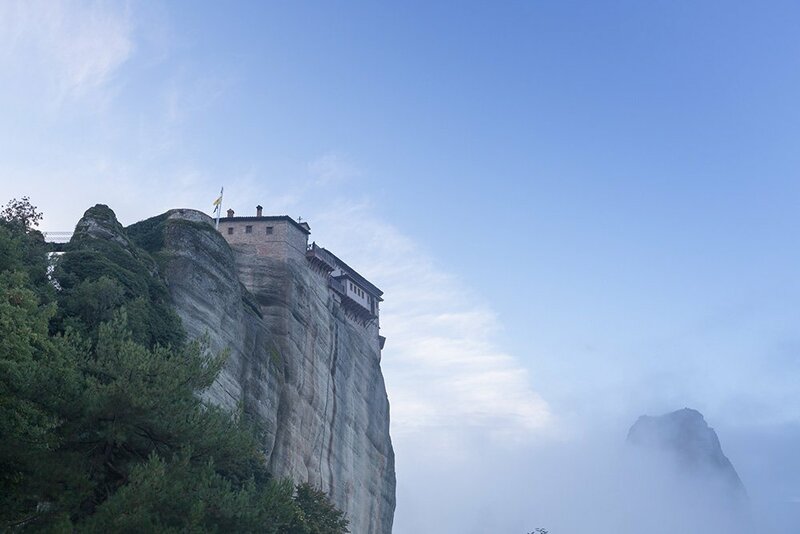 In your private vehicle and with some light walking, you and your photographer guide will spend about 3 hours visiting some ancient monasteries which sit atop these rock formations, and exploring the beautiful landscape. You will also have 1 hour of free time during your visit, to wander around the city of Kalampaka or enjoy a nice meal (not included). 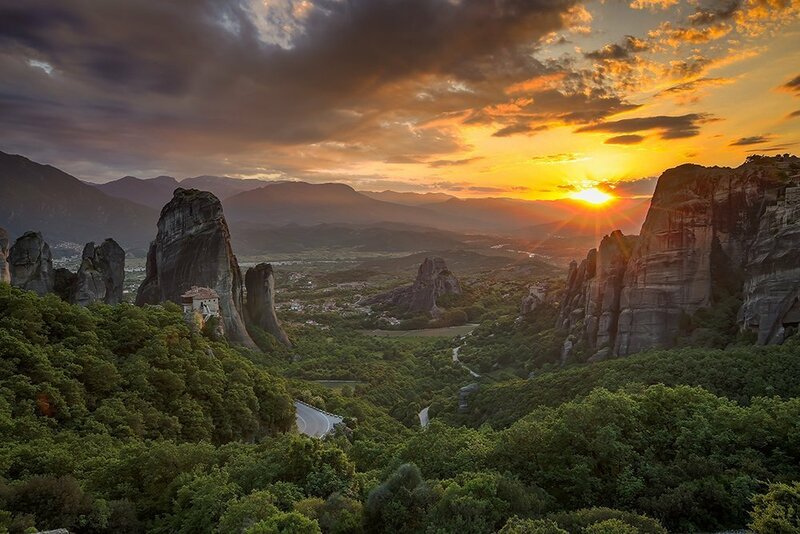 Learn how to photograph at different times of the day, and as you progress toward sunset you will be presented with a magical view only found in Meteora. The day ends with an evening train ride back to Athens . You will arrive back to Athens around 10:12pm. 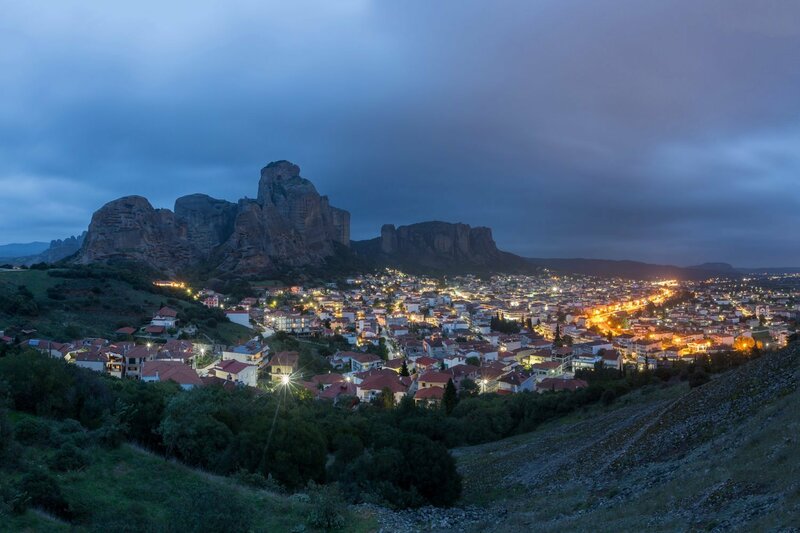 Other Photography tours to check out, Full Day Meteora Photo Tour, Full Day Zagori Photo Tour. 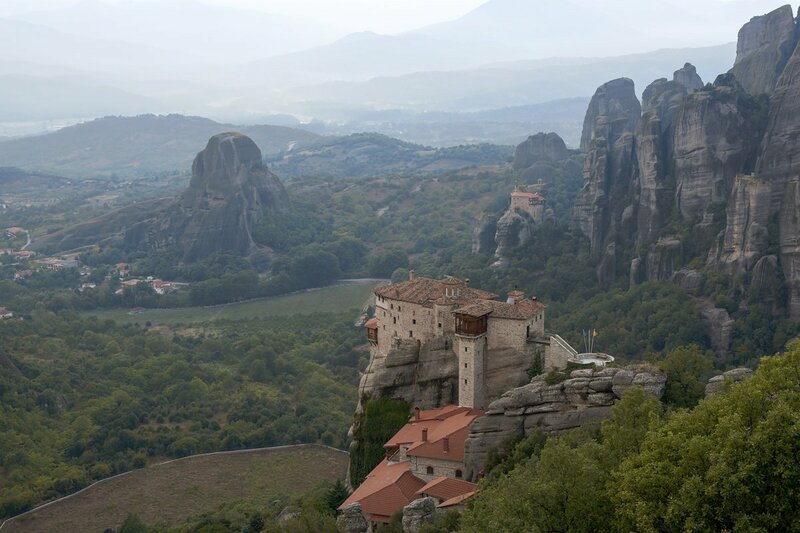 This Athens to Meteora by train Photo Tour is scheduled up to 3 participants with a minimum of 1 participant. 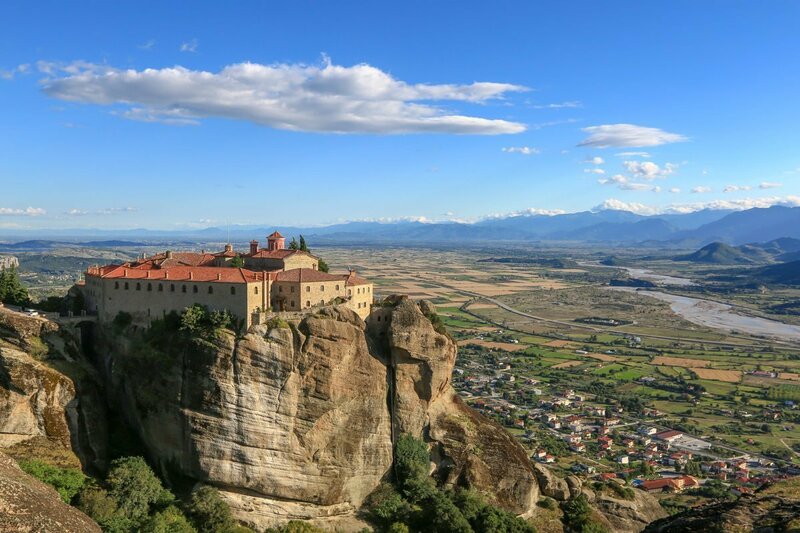 This is an intermediate 14 hours photography tour from Athens to Meteora by train the same day. Athens 08:00. 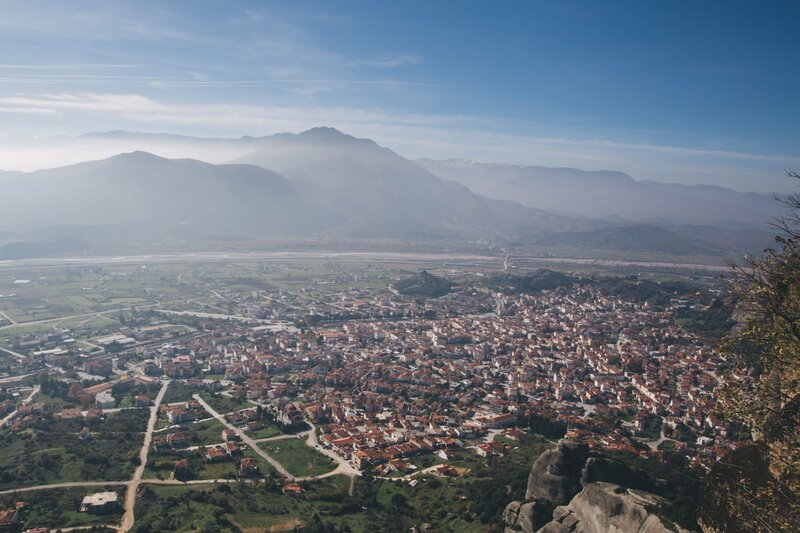 Train departs at 08:20 from Athens Central Train station. 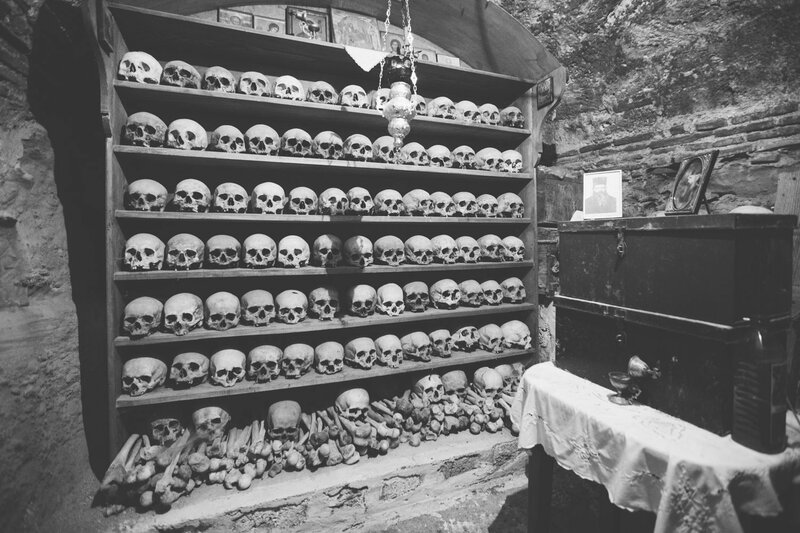 Kalambaka 13:18. Train arrives at Kalambaka Train station. 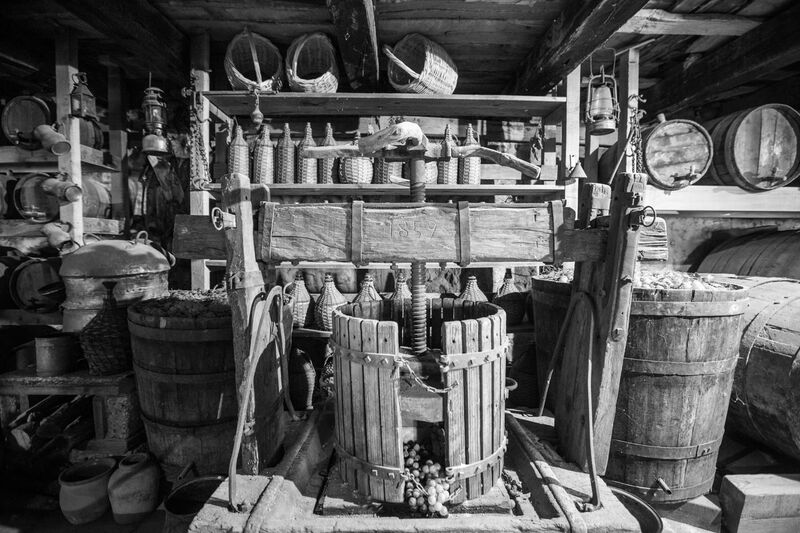 Our photographer will meet you at the station and your photography tour starts! 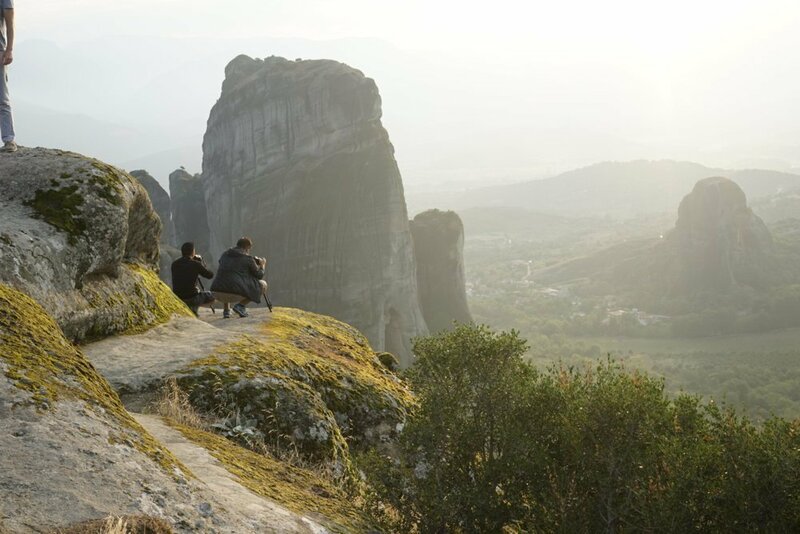 Explore Meteora rock formations and Kalambaka city in a four hours photo tour. 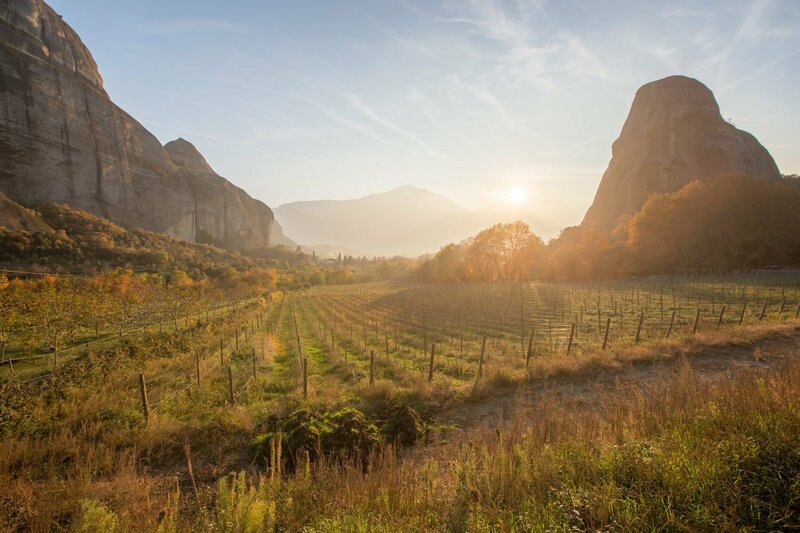 Kalambaka 17:15. Train departs at 17:32 from Kalambaka Train station. 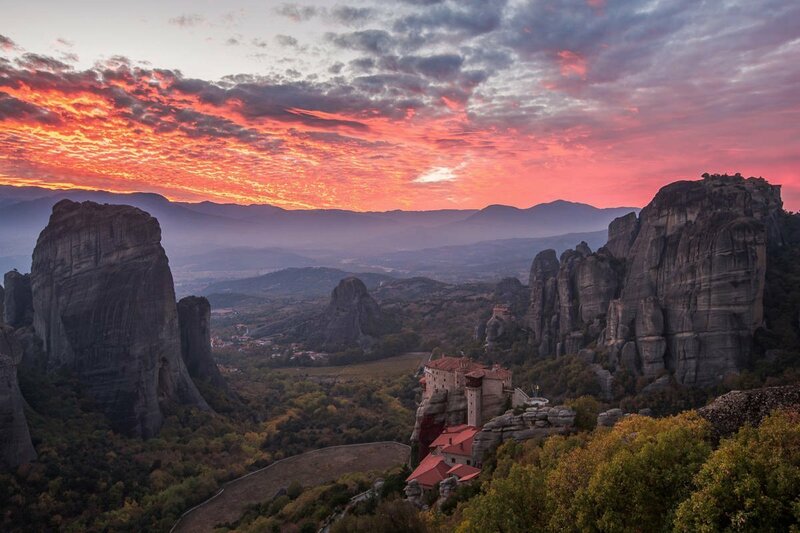 Athens 22:12. Train arrives at Athens Central Train station. 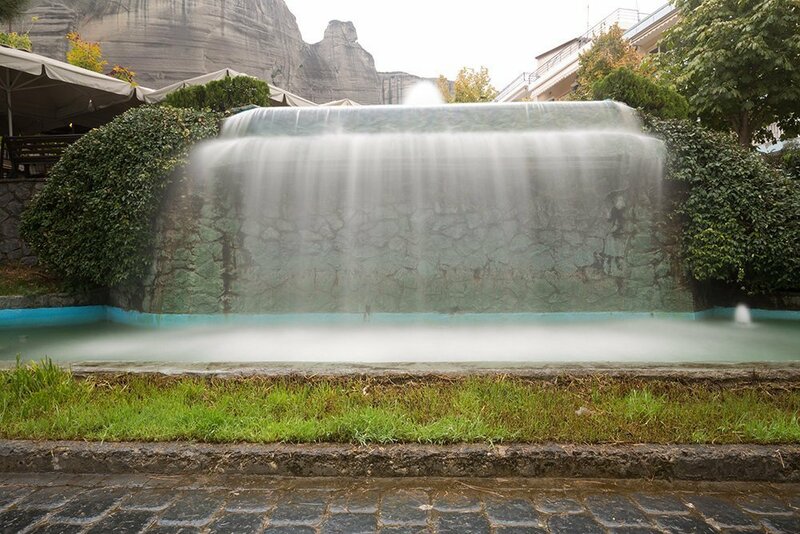 You need to arrive in Central Athens train station at least 30 minutes before train departure. Map of the train station. The train station is accessible by Metro, bus, taxi. If you cancel at least 7 day(s) in advance of the scheduled departure, there is no cancellation fee*. Cancelling between 3 and 6 day(s) in advance of the scheduled departure, there is a 50 percent cancellation fee*. * Train tickets can not be cancelled.